Although the yarn is chunky, the piece is designed to keep you cool and comfortable. 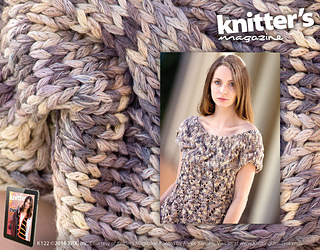 A simple lace body is topped with a braided-cable yoke; the multicolored, textured yarn adds a hint of rustic charm. Pattern found on p. 52.